On- or off-duty, it’s good to have a firefighter around. A Queens man was lucky to have one as a neighbor on Sept. 11. In a trice, Finley jumped up and ran towards the house. “The man said that his dad wasn’t breathing,” Finley said. He asked if they called 911. They hadn’t. Finley told them to call right away. Then, he immediately turned to CPR. “I laid the man down on the ground and checked for a pulse and for breathing. Both were absent,” he said. FDNY members took over the patient and he was transported to a local hospital in serious condition. 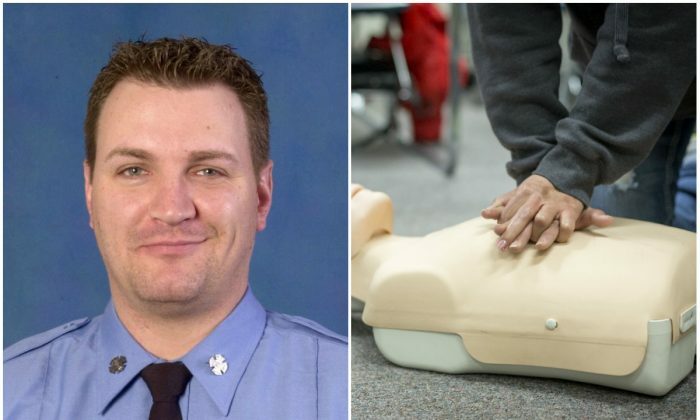 FDNY runs a Be 911 program that offers free, 30-minute classes on compression-only CPR and urges all New Yorkers to sign up. “The classes are taught throughout the year by certified FDNY EMS personnel at various locations, and can equip you with the skills you need to act in the event of cardiac arrest,” FDNY stated on Facebook.